Telling a story is a way to make others participate in something that is dear, important, painful or fun to oneself and … it’s not always easy. 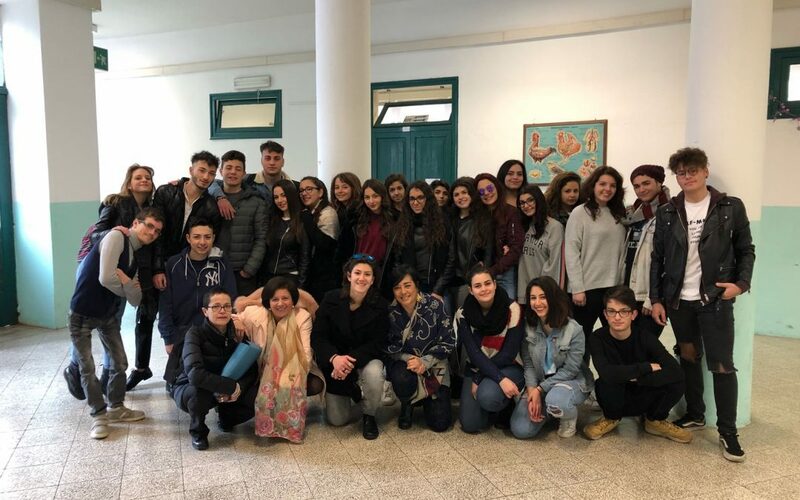 Storytelling is a teaching methodology that we, 4D students, together with 3 D and 4 R schoolmates, have experimented with our teachers De Caro, Ciziceno, Mancino and Buzzotta, as part of the European project “Mysty” in partnership with England, Hungary and Austria. We have realized 16 stories dealing with themes such as “Family”, “Traditions”, “Festivities” and “Food” as well as our “twins” from other countries. After producing a USER GUIDE as a vademecum for working, each of us has carefully researched photos, videos and stories to create stories. Our resources have often been our precious grandparents: inexhaustible sources of information! “Christmas”, “Marriages”, “The dead feast”, “The traditions of our countries” and “The street food” were the themes of our stories. The most beautiful story, according to us, was the Alyosha’s, our schoolmate, who, arrived in Italy from Ukraine when he was 5 years old, after the terrible experience of Chernobyl. He was welcomed by his “new” Italian family, with lots of love. His story, told through the images, has enriched us so much. We are happy to have known him and spent together 4 years of high school! We edited the videos and audio editing of our stories, experimenting new programs and acquiring new skills. Last October, the British, Austrian and Hungarian project representatives came to Palermo to watch our stories, they appreciated them because they are very interesting and truthful. They gave us valuable advice for the technical realization of the videos. Now our stories will be placed in a virtual box, visible all over the world, so they can be known, and we hope …. appreciated.